 Osborne & Little's third collection of wide-width robust vinyls sold by the linear metre (or yard) presents patterned and semi-plain wallcoverings which are the perfect choice for hospitality and domestic interiors where exceptionally hard-wearing product is required. The contemporary palette embraces calm neutrals such as silver, ivory and parchment as well as eau de nil, aqua and sea blue. The collection is completed by colourways of the existing vinyl favourites, MAKO and TOCCATA.